Happy Saturday! I hope you are all having a wonderful weekend. I have survived my first week back at school with my students. I always forget how hard the first week is getting everyone into a routine! My goal was to publish this post last night, but I fell asleep on the couch instead. :) This week wiped me out, but I have an awesome group of kids. A huge thank you to everyone who shared with us last week at the party. You can check out all of the awesome posts from last week's Bouquet of Talent here! There is still so much to see. As always, I wish I could feature everyone. I will also post our top 5 most viewed links at the party! If you were featured, you can grab a feature button at the bottom of the post. Debbie-Dabble shared her amazing finds that she used to decorate her patio! I love this mirror. 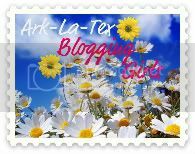 Her awesome blog is sure to inspire you! She's such a talented lady. 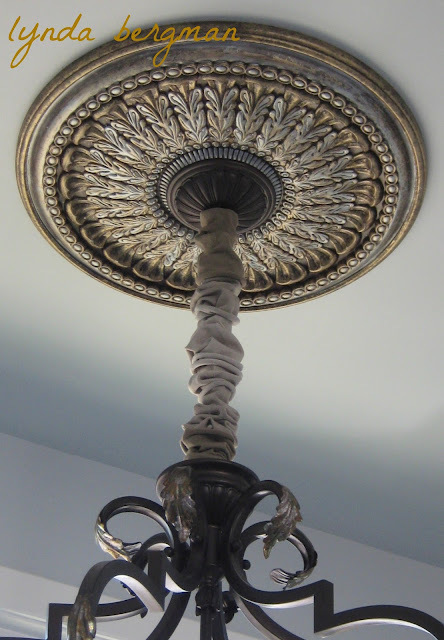 I love this gorgeous chandelier and ceiling medallion by Lynda Bergman. The perfect finishing touch on the chain is men's socks. So creative! 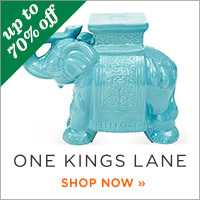 I am loving this beautiful Message Center by Old Things New! Patti did a great job with the chicken wire message board. I love it. Also, check out her beautiful magnetic board tutorial. 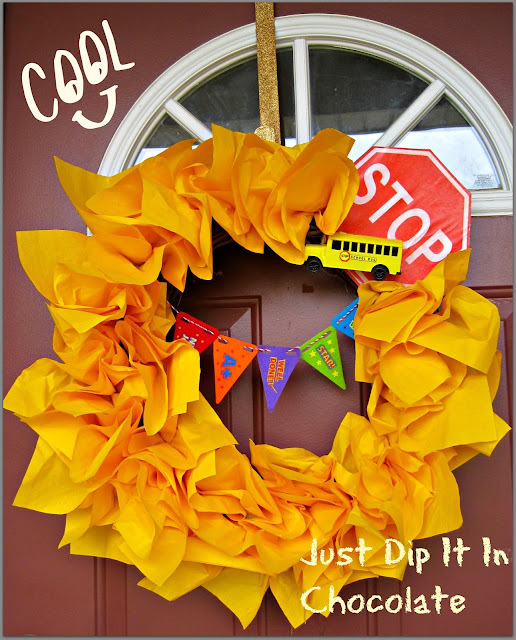 How adorable is this Back to School wreath by Just Dip it in Chocolate? I have to make one of these for my classroom. So cheerful. My Successful Secrets created this fabulous framed burlap monogram for a wedding gift. It looks beautiful. 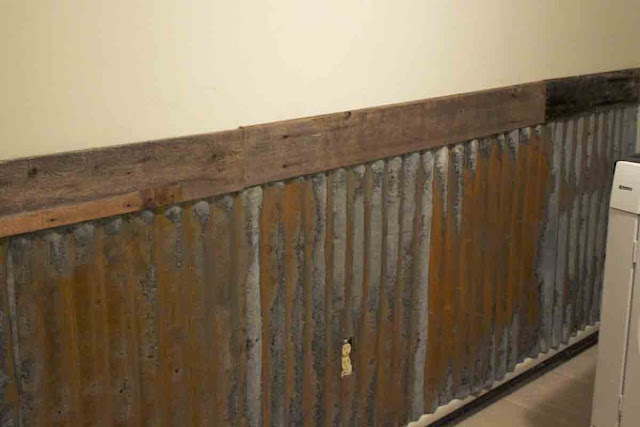 The B Farm shared her amazing laundry room wall makeover! 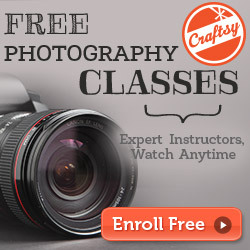 Check out her great tutorial to see how Cecilia created this rustic tin look. 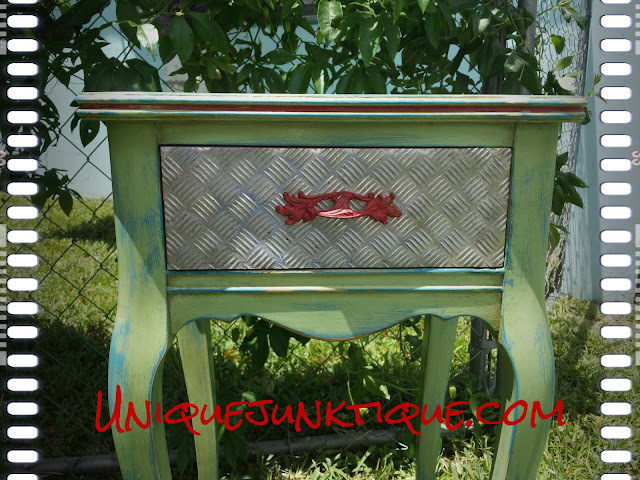 Unique Junktique did a fabulous job on this little table makeover! Love the colors she chose. 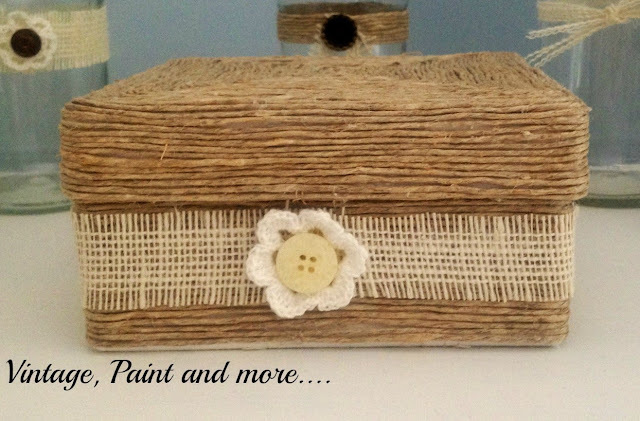 Vintage, Paint and more.. created this adorable twine wrapped box with burlap. What a fantastic idea! 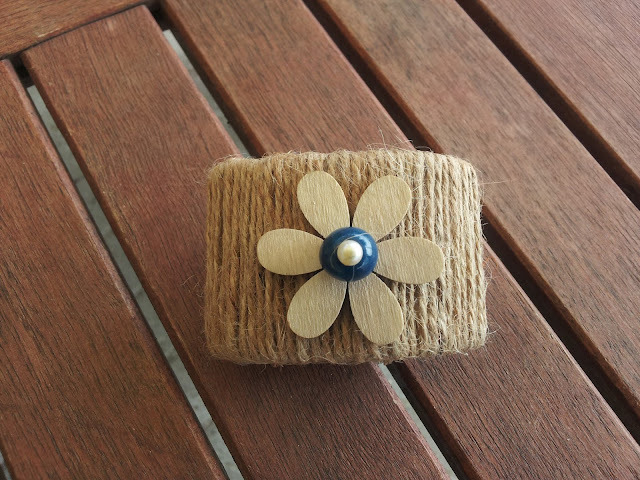 While we are on the subject of twine, how cute is this twine napkin ring by A Spoonful of Crafts? 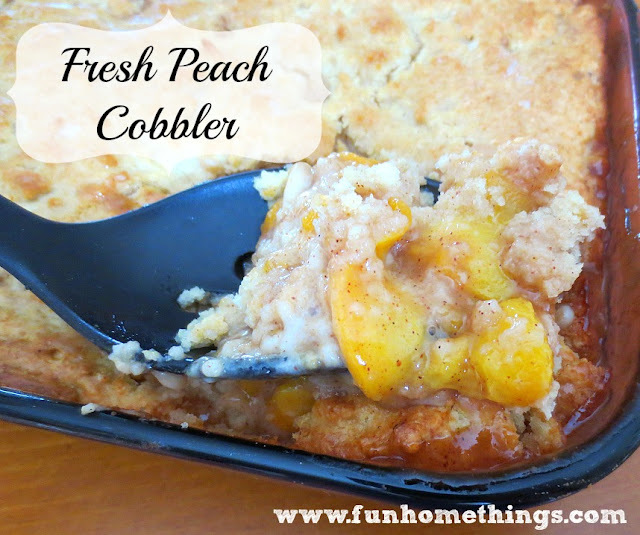 Fun Home Things shared her yummy Fresh Peach Cobbler. This looks so delicious! Domestically Blissful shared a delicious Creamy Alfredo Sauce. YUMMY! A Little Bit of Everything shared Martha Stewart's One Pan Pasta. My kind of meal! This looks fabulous. Since chocolate is always at the top of my list, check out these fabulous Chocolate Caramel Brownies by Cath's Cookery Creations! I will take some now, please! Please grab a button if you were featured! Thank you so much for sharing your talent with us this week. 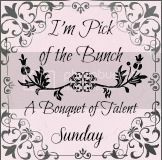 I hope to see you tonight at the Bouquet of Talent party. Have a fabulous weekend!! 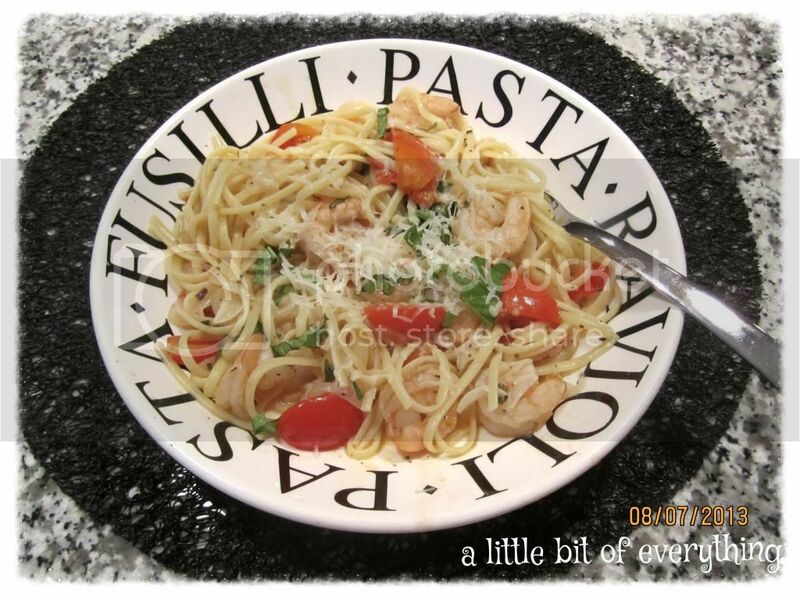 Thank you so much for featuring my One Pan Pasta! Thank you so much for the feature! 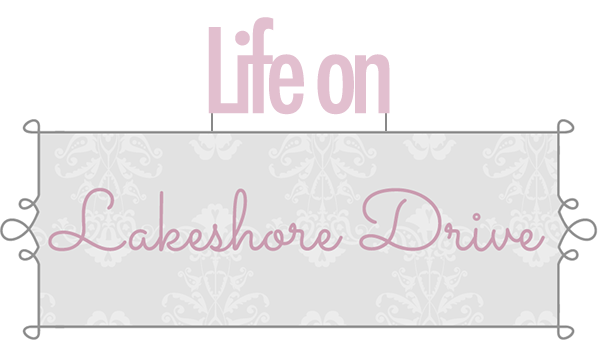 Haven't had my blog for long so this helps a lot! Can't wait till next week. Kathy you are a sweetheart! I know this wreath would look great in your classroom this coming school year! Thank You so much for the feature. Thank you so much for the feature! I am so thrilled people like my wall! I will be sure to give you a shout out in my next post. 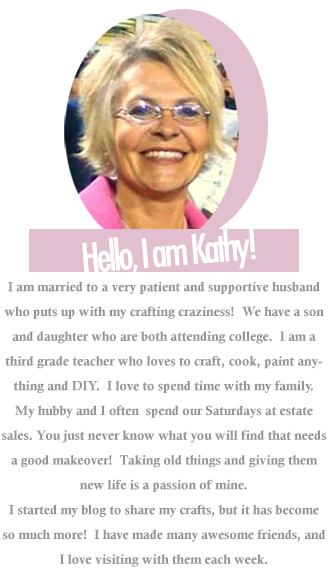 Thanks so much for the feature Kathy!It's an honor.